NHL News : Babcock shakes up lines at Leafs' practice! Babcock shakes up lines at Leafs' practice! Something had to be done in Toronto and Maple Leafs head coach Mike Babcock knew what to do ahead of tomorrow's game against the Tampa Bay Lightning. Babcock was a man on a mission during practice on Wednesday when he shook up his lines. 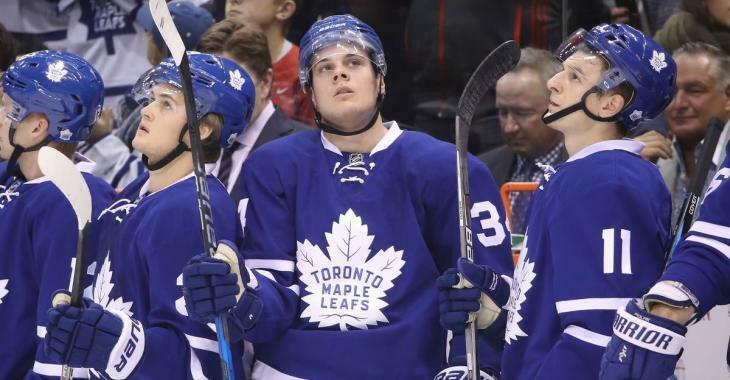 Auston Matthews was back between William Nylander and Zach Hyman — a trio that played together most of the last two seasons — while Andreas Johnsson was shuffled to play on the wing with John Tavares and Mitch Marner. The fourth line of Par Lindholm, Frederik Gauthier and Connor Brown remained unchanged, however, the third group centred by Nazem Kadri will also include veteran Patrick Marleau and Kasperi Kapanen. Babcock didn't commit to his new line combinations when speaking with reporters following Wednesday's skate, however the head coach usually starts the following game with the combinations he used during practice. "I don’t know what I’m doing tomorrow. How’s that? But we took a look at it today," Babcock said, per the Toronto Sun.